It is clear that in our future energy system renewable electricity will play a main role in the transition to a low carbon energy supply. This transition is facilitated by CO2 targets of national governments and requires extensive electrification. In the future, however, there will still be a need for fuels (for aviation, shipping and heavy road transport) and for chemical products and materials. These activities and associated production processes are now responsible for more than 35% of global CO2 emissions. 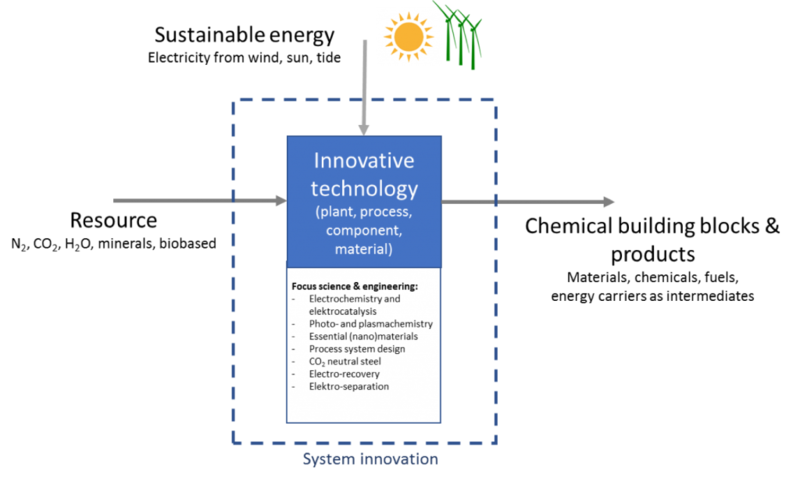 There is a big challenge to produce these fuels and chemical products through the use of renewable electricity, at the basis of biomass and/or CO2. In addition, solutions are needed for the problem of the imbalance between production and consumption of electricity. These solutions lie in connecting networks and production capacity (interconnection), organizing an optimal balance of supply and demand, and in direct storage of electrical energy. Storage of electricity in batteries or similar systems is an option; electrochemical production of chemicals as an energy carrier is another option. Electrochemical conversion is a promising option for long-term storage as this technology is easy scalable to the amount of energy. During the conference the state-of-the-art in science and technology will be shared by international key notes from academia and industry. 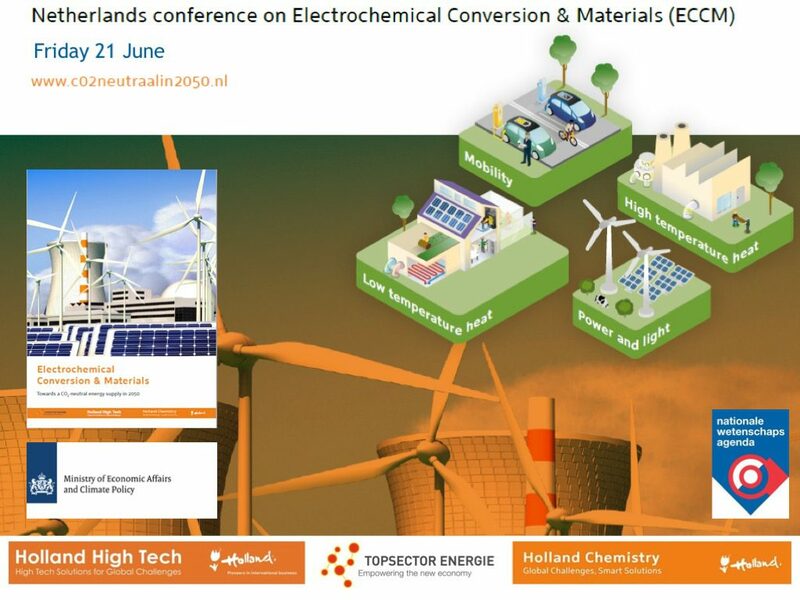 Dutch scientist and industry representatives will contribute to an appealing parallel programme related to the theme of the conference. During the conference national R&D initiatives related to the ECCM theme will be announced. Venue: Netherlands, NH Hotel, The Hague – easy access from Amsterdam Schiphol Airport. Participation: free, including lunch. Register here. Not yet on the ECCM mailing list? Please subscribe here. Setup: one day conference with plenary keynote lectures from academia, industry and NGO’s. To the parallel sessions Dutch representatives from industry, scientists (group leaders), applied research organisations, government and NGO’s will contribute to an appealing programme. Prof Mercedes Maroto-Valer (FRSE, FIChemE, FRSC, FRSA) is Assistant Deputy Principal (Research & Innovation) and Director of the Research Centre for Carbon Solutions (RCCS) at Heriot-Wat University. She has held appointments at the University of Kentucky (1997-1998), Pennsylvania State University (1998-2004) and University of Nottingham (2005-2012). She joined Heriot-Watt University in 2012 as the first Robert Buchan Chair in Sustainable Engineering and has been Director of the cross-university Energy Academy and Head of the Institute of Mechanical, Process and Energy Engineering. She is Director of the Research Centre for Carbon Solutions (RCCS) comprising over 50 researchers and an active research portfolio of >£17m. RCCS is a world leading engineering centre delivering innovation for the wider deployment of low-carbon energy systems required for meeting carbon targets. She has over 450 publications, including editor of 4 books and 32% of her publications are in top 10% most cited worldwide. She holds leading positions in professional societies, including President Environment, Sustainability and Energy Division – Royal Society Chemistry (RSC); Editor-in-Chief Greenhouse Gases: Science and Technology; Member of the British Geological Survey (BGS) Advisory Committee; Board Member of the Energy Technologies Partnership (ETP); and Royal Academy of Engineering (RAEng) Frontiers of Engineering Steering Group. She has received numerous international prizes and awards, including 2019 Honorary Doctorate by TU Delft; 2018 Merit Award by Society of Spanish Researchers in the UK (SRUK/CERU); 2013 Hong-Kong University Mong Distinguished Fellowship; 2011 RSC Environment, Sustainability and Energy Division Early Career Award; 2009 Philip Leverhulme Prize; 2005 US Department of Energy Award for Innovative Development; 1997 Ritchie Prize; 1996 Glenn Award- Fuel Chemistry Division of the American Chemical Society and the 1993 ICI Chemical & Polymers Group Andersonian Centenary Prize. Her research portfolio has included as PI/CI projects worth ~ £35m, and has been awarded a prestigious European Research Council (ERC) Advanced Award. In her role as Assistant Deputy Principal (Research and Innovation), her key strategic responsibilities include leading the development of university wide initiatives (UK, Dubai and Malaysia) to support global research activities. Professor Shao-Horn is W.M. Keck Professor of Energy at the Massachusetts Institute of Technology (M.I.T.). Her research is centered on exploiting chemical/materials physics at interface and in bulk to understand and design materials/processes for energy storage and making of chemicals. 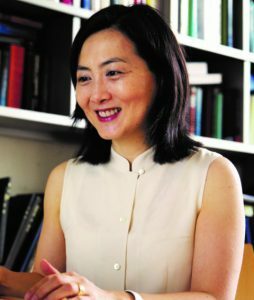 Professor Shao-Horn is a member of National Academy of Engineering and is among the World’s Most Influential Scientific Minds and Highly Cited Researchers. Dr Philipp Dietrich is CEO at H2 Energy AG. He was Head of the Technology Management of Axpo. Before he was the Managing Director of the Competence Center Energy and Mobility (CCEM) at the Paul Scherrer Institute in Villigen, Switzerland. Prior to joining the PSI and the CCEM, Mr. Dietrich held leading position within ABB in Baden (instrumentation and control systems for CCPP) and worked in the research departments of BMW in Munich (hydrogen-engine). 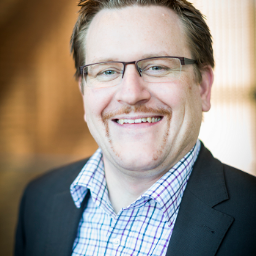 Dr Noé van Hulst is Hydrogen Envoy at the Ministry of Economic Affairs & Climate. From 2013 till 2018 he was Permanent Representative of The Netherlands to the OECD. He was chairman of the IEA Governing Board (2017-2018). He holds a Master’s Degree and a Ph.D. in Economics from VU Amsterdam. Van Hulst started his career in 1980 as a Researcher/Lecturer in the Department of Micro-economics at VU Amsterdam. In 1985, he was appointed Senior Economist and Deputy Head of the Macroeconomic Policy Department of the Social and Economic Council (SER) in the Netherlands. 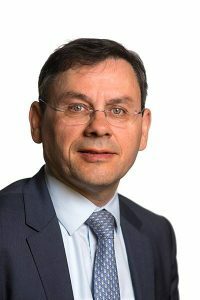 Mr. van Hulst then held several positions at the Ministry of Economic Affairs: Head of the Longer-Term Studies Group within the Directorate for Technology Policy, Deputy Director for Technology Policy, Director for Fair Trading and Deputy Director-General of Economic Structure, Director-General for Energy, Director-General for Competition and Energy. In 2003, Mr. van Hulst joined the International Energy Agency (IEA) in Paris as Director for Long-Term Co-operation and Policy Analysis (LTO). From 2008, he held the position of Secretary-General of the International Energy Forum (IEF) in Riyadh, Saudi Arabia. From 2012 until his nomination with OECD, Van Hulst was Director of Energy Academy Europe. Dr Yu Morimoto is Principal Researcher at Toyota Central R&D Labs, Nagoya, Japan. He started his professional career at Toyota Central R&D labs. Inc, (TCRDL) in 1982 in R&D on secondary batteries for SLI (Starting, lighting ignition) and EV. In 1989 he initiated research activities on Polymer Electrolyte Fuel Cells (PEFC) from scratch. Since 1995 he leads the PEFC R&D at Toyota focusing on electrocatalysis and MEAs by in-house research but also collaboration with material suppliers, universities, and national labs from all over the world. 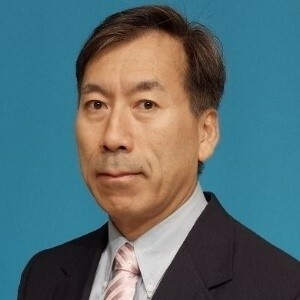 Mr. Morimoto obtained his PhD in 1994 at Case Western Reserve University with Professor E. B. Yeager on Electrochemical oxidation of methanol on platinum and platinum based electrodes. Mr. Morimoto’s key expertises are in electrocatalysis and MEA development, evaluation, characterization, degradation analysis and macroscopic modeling and simulation. Dr. Reinhold Achatz is Chief Technology Officer (CTO) and Head of the Corporate Function Technology, Innovation and Sustainability at thyssenkrupp AG in Essen, Germany. In this position he is globally responsible to initiate and implement future oriented projects, to identify and leverage synergies between thyssenkrupp’s businesses and to define, implement and improve processes. The future oriented projects include projects addressing the challenges of climate change (e.g. Carbon2Chem) and implementing the digital transformation of thyssenkrupp. Before joining thyssenkrupp in 2012 he worked for Siemens in a number of management positions in Germany and the United States of America. He holds a degree in Electrical Engineering (Dipl. Ing.) from the Friedrich-Alexander University in Erlangen-Nuremberg (1979), a Ph.D. in Information Technology in Mechanical Engineering (Dr. Ing. ), from the Technical University of Munich (2009) and was awarded an honorary advisory professorship from the Tsinghua University in Beijing, China (2010). 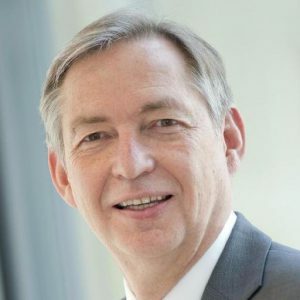 Reinhold Achatz is a member of board of trustees of a number of institutes of the Fraunhofer Society and the Max-Planck-Society and a member of the board of the working group Research, Innovation and Technology of the Federation of German Industry (BDI). Since 2016 he serves as chairman of the Board of the International Data Space Association (IDS). For four years he was consulting the Science Commissioner of the European Union as member of the European Research Area Board (ERAB) and for six years he was consulting the German Government as member of the German Council for Science and Humanities (WR). Christian Breyer has started the Solar Economy professorship at Lappeenranta University of Technology (LUT), Finland, in March 2014. His major expertise is the integrated research of technological and economic characteristics of renewable energy systems specialising in energy system modeling, 100% renewable energy scenarios and hybrid energy solutions, on a local but also global scale. 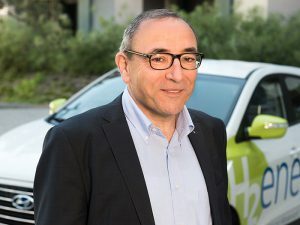 Mr Breyer has been managing director of the Reiner Lemoine Institute, Berlin, focused on renewable energy research and worked previously several years for Q-Cells (now: Hanwha Q Cells) a world market leader in the photovoltaic (PV) industry in the R&D and market development department. Mr Breyer received his PhD in the field of the economics of hybrid PV power plants from University of Kassel. He is member of international working groups like European Technology and Innovation Platform Photovoltaics (ETIP PV), IEA-PVPS Task 1, member of the scientific committee of the EU Photovoltaic Solar Energy Conference (PVSEC) and the International Renewable Energy Storage Conference (IRES), chairman for renewable energy at the Energy Watch Group, expert for the 100% renewables initiative and founding member of DESERTEC Foundation. Mr Breyer had been member of the executive team of the Neo-Carbon Energy project in Finland focused on power-to-X solutions. He authored and co-authored about 250 scientific publications. Heleen de Coninck is associate professor in innovation studies at the Environmental Science department at Radboud University’s Faculty of Science. Before joining Radboud University in 2012, she worked for over ten years at the unit Policy Studies of the Energy research Centre of the Netherlands (ECN). Her main field of work is climate change mitigation, innovation and policy analysis, in particular at the international level. Heleen has conducted research and consultancy for among others the European Commission, UNFCCC, UNIDO, UNEP, the World Bank and various governments and private sector actors. From 2008 to 2012, while at ECN Policy Studies, she managed a group of researchers focussing on international climate policy, energy and development, and technology transfer, and acted as programme manager for ECN Policy Studies. 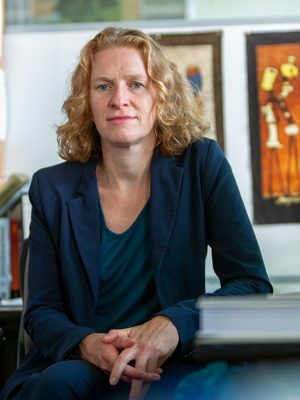 Heleen is a board member of Climate Strategies, a climate policy research network that aims to improve the linkage between climate policy research and the negotiations at the European and UN level. She was a Coordinating Lead Author of the chapter on implementing and strengthening the global response of the IPCC Special Report on limiting warming to 1.5C, which was released in October 2018. Heleen graduated in Chemistry and in Environmental Science, specialisation climate change and atmospheric chemistry, from Radboud University. After her studies, she worked as atmospheric chemistry researcher at the Max Planck Institute for Chemistry. In 2009, she finished a PhD on the role of technology in the international climate regime at the VU in Amsterdam in collaboration with Princeton University in the United States and ECN. Ted Sargent received the B.Sc.Eng. (Engineering Physics) from Queen’s University in 1995 and the Ph.D. in Electrical and Computer Engineering (Photonics) from the University of Toronto in 1998. He has held the following visiting professorships: MIT: Visiting Professor, Nanotechnology and Photonics, in the Microphotonics Center, MIT, 2004-5, UCLA: Fulbright Visiting Professor at UCLA 2013 and Berkeley: Somorjai Visiting Miller Professorship at Berkeley Fall 2017. He holds the rank of University Professor in the Edward S. Rogers Sr. Department of Electrical and Computer Engineering at the University of Toronto. He holds the Canada Research Chair in Nanotechnology and also serves as Vice President – International for the University of Toronto. His book The Dance of Molecules: How Nanotechnology is Changing Our Lives (Penguin) was published in Canada and the United States in 2005 and has been translated into French, Spanish, Italian, Korean, and Arabic. 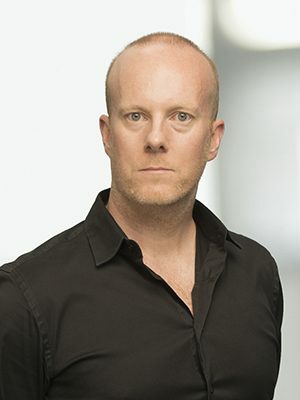 He is founder and CTO of InVisage Technologies and a co-founder of Xagenic. He is a Fellow of the Royal Society of Canada; a Fellow of the AAAS “…for distinguished contributions to the development of solar cells and light sensors based on solution-processed semiconductors;” and a Fellow of the IEEE “… for contributions to colloidal quantum dot optoelectronic devices.” He is Fellow of the Canadian Academy of Engineering for “…ground-breaking research in nanotechnology, applying novel quantum-tuned materials to the realization of full-spectrum solar cells and ultra sensitive light detectors. The impact of his work has been felt in industry through his formation of two start-up companies.” His publications have been cited over 30,000 times [Scopus]. The Advisory Committee for Electrochemical Conversion & Materials (ECCM) advises the Dutch government on behalf of the top sectors HTSM, Energy and Chemistry, on what is needed to make the transition to a CO2-neutral industry based on intermittent sustainable energy generation, storage and conversion. ECCM is a cross-sectoral theme to achieve this goal. The committee coordinates efforts on this theme at national level, by initiating new cooperation initiatives and by adapting initiatives that fit within the scope of the advisory report issued by the committee. From a national perspective, the committee advises the government on which efforts are required for cooperation across the entire innovation chain. In addition, the committee is building a true ECCM community of knowledge institutions, companies, governments and NGOs. To this end, the committee organizes conferences in the field of ECCM. In 2019 an ECCM graduate school will be introduced to further boost an ECCM community across the Netherlands.